The last Chief Engineer of the GWR, F W Hawksworth, was responsible for producing modern, if austere, designs of locomotives and coaches in the period 1941-1949. His carriages were distinctive, with sloping roof-ends and a flat bodyside profile. Critics called them slab-sided, and derided the empire veneers, something usually seen on the rival LMS. 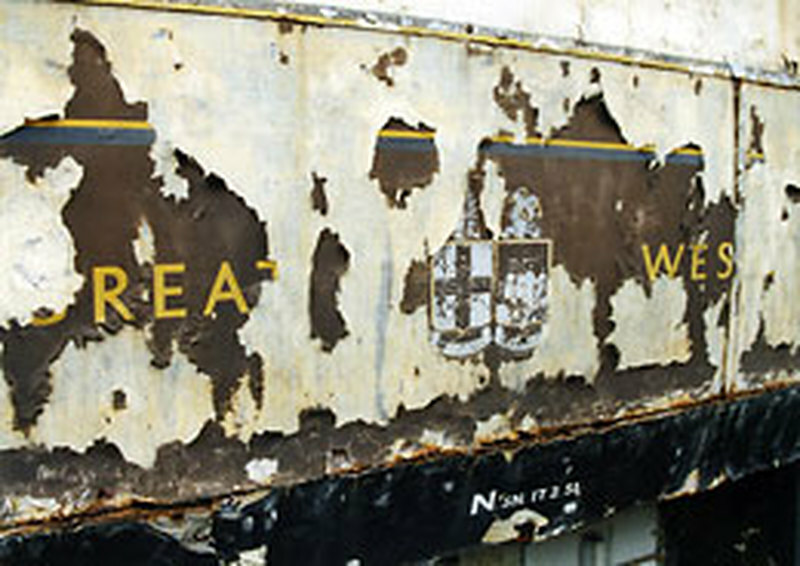 However, a return to normal GWR principles where cheap timber was painted to look like something more expensive seems to have occurred in these ten-berth sleeping cars. While the new medium of melamine, a plastic developed in the 1940s, was used in the compartments, the walls of the corridor were plywood, painted to resemble melamine. Each compartment features one bed with a sink, luggage racks, coat hangers, shaver points, and forced-air heating. There is a gallery compartment for an attendant at one end of the carriage, and a lavatory with tiled floor at the other. These coaches are among the heaviest to run on British lines, and have to ride on six-wheeled bogies to reduce the axle-load. 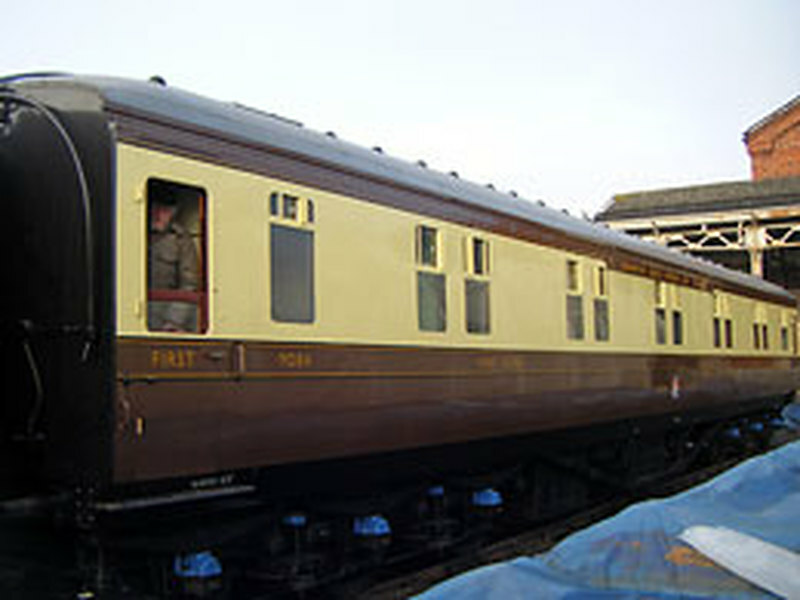 Although of pure Hawksworth appearance, and carrying standard GWR fittings, the four coaches built to this design did not get delivered until February 1951, four years into state ownership by British Railways. All four survived into preservation after withdrawal from the Paddington - Milford Haven route. Three came to the SVR as volunteer accommodation, with 9084 arriving in 1970 from the Old Oak Common Depot, London, and seeing use at Bewdley (with 9082) for many years. 9085 went to Bridgnorth, and later Arley where it still resides. 9083 went to the GW Society at Didcot. In 2007, the SVR Rolling Stock Trust bought 9084 from the SVR(H) for five pounds, in order to safeguard its future in an increasingly commercially driven organisation. The Trust, together with the SVRG and SVRA, has funded the renovation of 9084 at Rampart Carriage Works, Derby, for around thirty-five thousand pounds. Delivered back to Kidderminster in December 2008, further finishing of works at the hands of volunteers and full-time staff was needed.